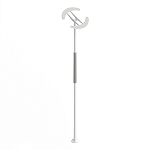 Bed Cane Assist by Standers provides steady support for bed mobility and bed transfers. 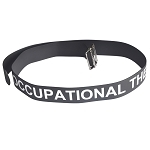 Wide cushion handle allows use of both hands. Reversible and Adjustable - Fits on either side of bed and adjusts in height to fit your mattress. 4 pocket organizer provides storage. 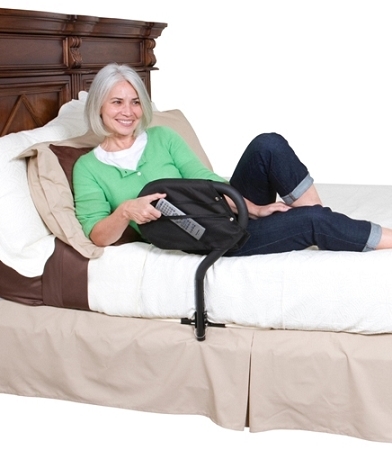 Provides steady support for bed mobility and bed transfers. 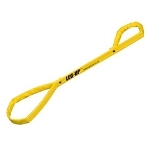 The Bed Cane Assist by Standers is a bed transfer support handle and bed mobility aid. 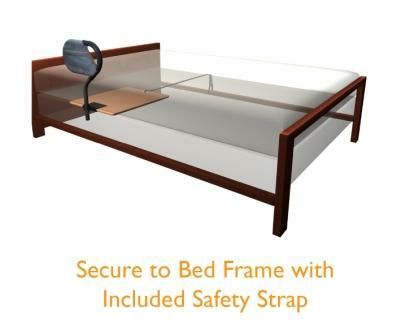 The wide handle provides a stable support to help users move in bed and get out of bed easily. 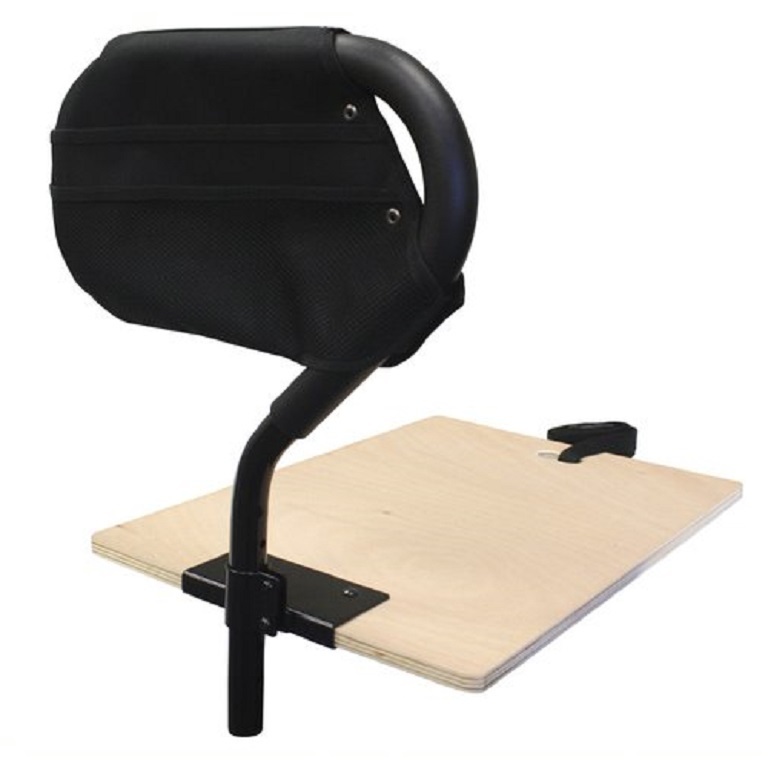 This bed assist allows users to use both hands to sit up on the side of the bed and then provides support to maintain balance when rising to a standing position. 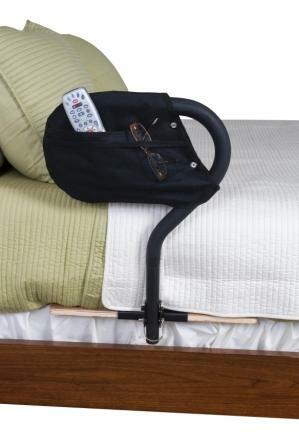 The Bed Cane Assist is reversible and can be installed on either side of the bed. The 19 x 23 inch wooden base fits between the mattress and box springs and the safety strap secures the base to the bed frame. The heavy gauge steel shaft adjusts from 19 to 22 inches high from the base, allowing for different height mattresses. The comfortable cushion grip handle installs on twin, full, queen and king size beds and has a 350 lb weight capacity. 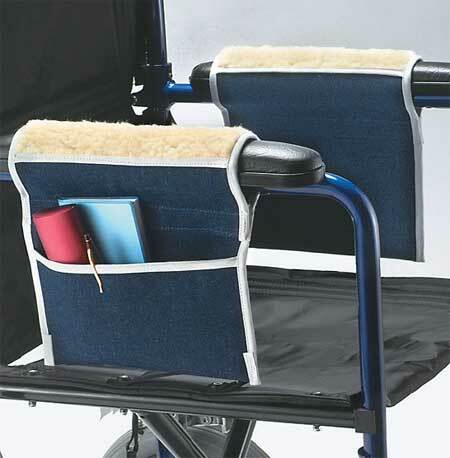 Each Bed Cane Assist includes the pouch organizer for convenient storage. Fits: Twin, full, queen and king size beds. 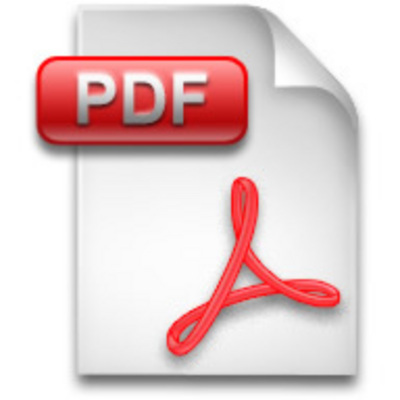 Height: Adjusts from 19 to 22 inches high. The BedCane is great! 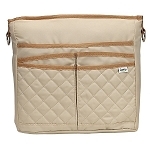 It attaches solidly to the bed and is not confining at all. It moves with the adjustable bed and can be used when the bed is flat or with the head up.